Feed your body the foods that nourish and help fight disease. Eating and drinking organic fruits, vegetables and herbs will help you live a longer life. 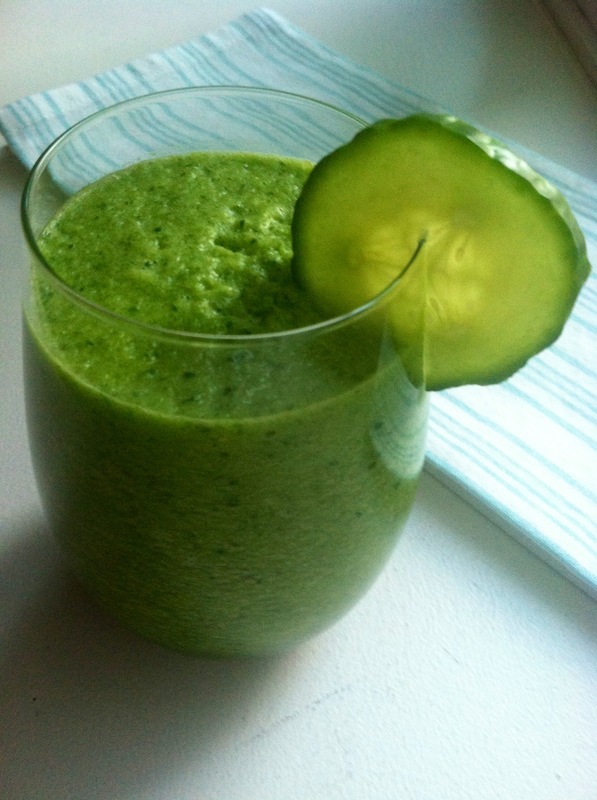 This delicious green drink can be enjoyed anytime of the day, but it’s a great way to start your day. It’s packed with fiber and vitamins that are anti-aging, cancer fighting and great for your skin. Place all of the above ingredients into a blender and blend until smooth. You can add more water if you do not like your drink too thick.